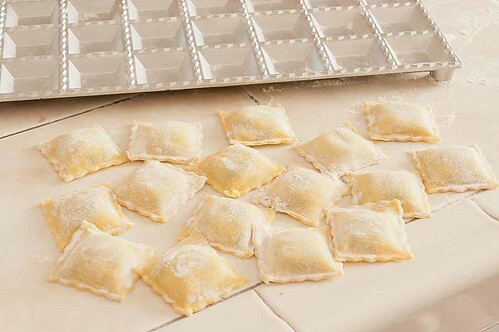 I love making ravioli, but at times, making them can be a bit tedious. 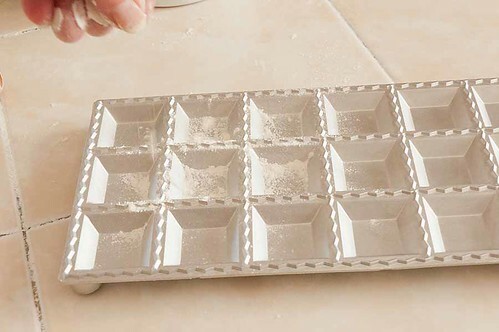 I borrowed my friends Ravioli Maker, to see if it would make the job go easier and faster. 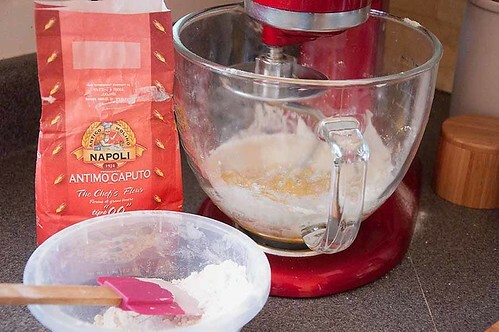 First, start by making your favorite pasta dough. 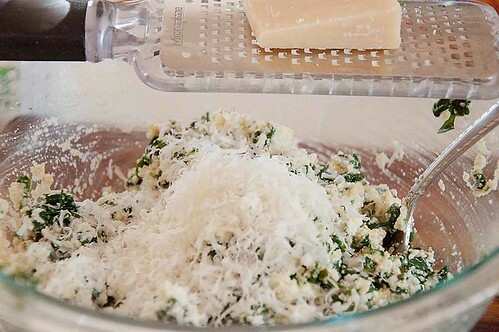 Make your favorite filling, I made a spinach, ricotta cheese one. 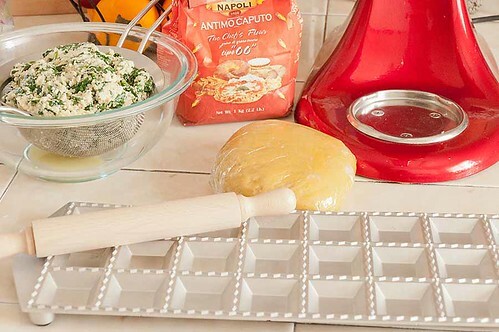 Gather together your filling, dough and ravioli maker. Don't forget some flour for dusting. 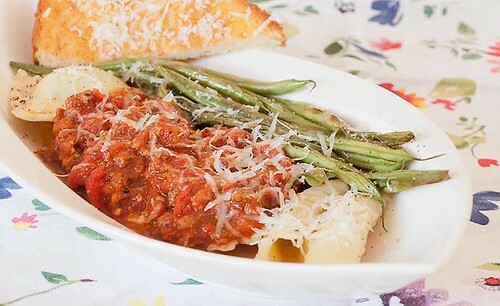 Roll out your pasta sheets. 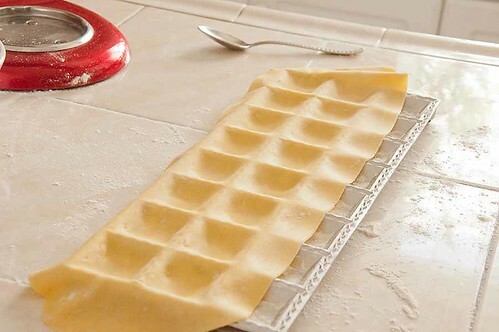 and lay a sheet of pasta on the ravioli maker. 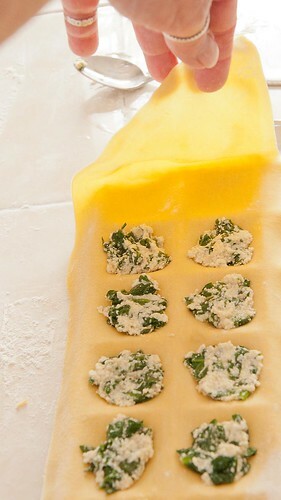 Now gently ease the dough into the ravioli indentations, working out as much air as possible. As you can see, my pasta roller doesn't roll the pasta quite wide enough, and no, I'm not doing it by hand, thankyouverymuch. I'll buy a two row ravioli maker. 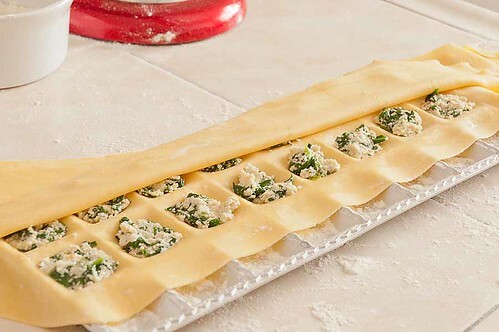 As I was making the ravioli, I decided, that laying the pasta sheet on the ravioli maker all at once, and working the dough into the indentations, was a pain and time consuming. Next batch, I thought I'd try holding the dough with one hand, and let the dough fall over the indentations, one at a time. With my other hand I placed a dollop of the filling on top of the dough as I gently pushed the filling, and the dough, into the indentations; then continue on down the row, it worked a treat. Is that as clear as mud? 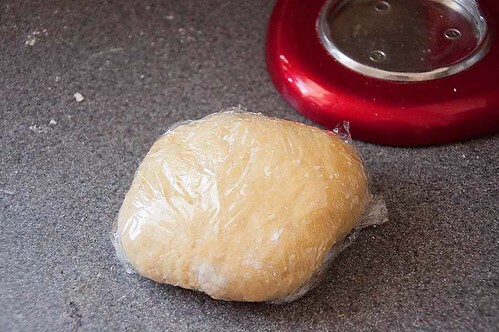 Brush the bottom sheet of dough with a bit of water; then top with another sheet of dough. 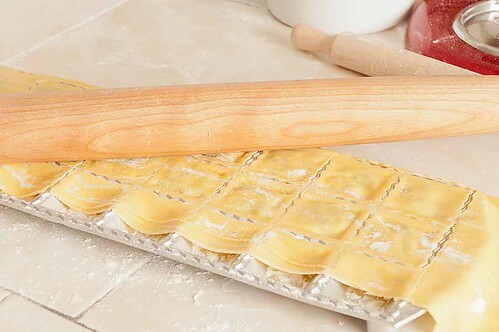 Using a rolling pin, roll over the top of the ravioli maker, this seals and separates the individual ravioli. See that wimpy little rolling pin in the background? That came with the ravioli maker, no bueno, no good. I had to bring out Big Bertha to do the job. With the scraps from the ravioli making, I tried my hand at some garganelli. They turned out pretty darned good too. Yes, I love the ravioli maker. Once I got it down, the job went faster than without it. 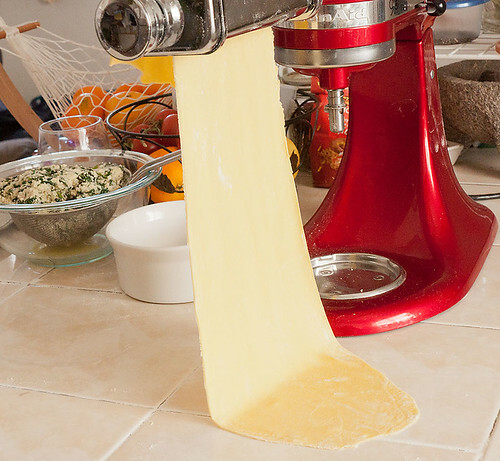 This was the first time I used the garganelli maker, easy peasy, and a great way to use up pasta dough scraps. 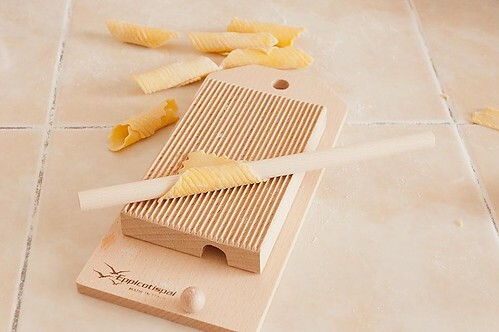 It can also be used for making gnocchi. 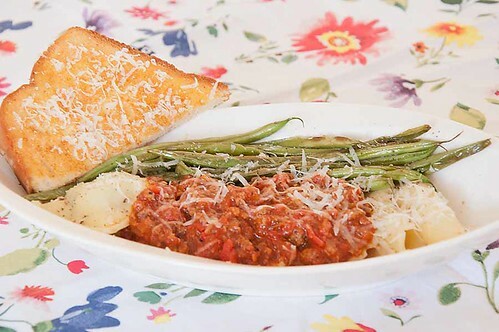 Topped both pastas with some meat sauce I had in the freezer. We had a great meal, and, have some in the freezer for another day.